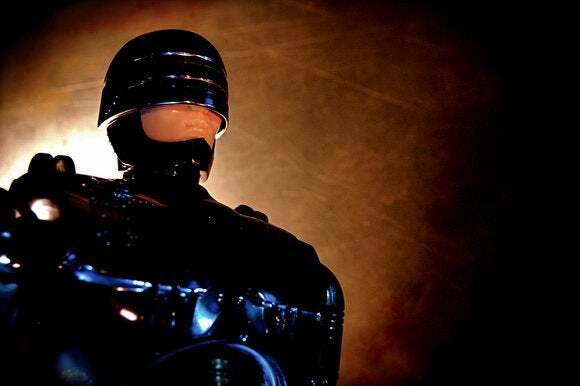 But as science fiction inches closer to fact in the 21st century, rights groups are warning that armed police robots will threaten human rights instead of protect them. Governments must impose a preemptive ban on fully autonomous weapons before it’s too late, even though they don’t yet exist, Human Rights Watch (HRW) and Harvard Law School said in a report released Monday. The 26-page “Shaking the Foundations: The Human Rights Implications of Killer Robots” examines the implications of lethal autonomous robots, which would have the power to decide when to take a human life. It follows discussion about the use of such machines in warfare. The document speculates that law-enforcement agencies could use killer robots in fighting crime and controlling riots, while governments could deploy them against political opponents and terrorists. Robots would not be able to replicate human judgment and compassion in critical situations, it says, nor defuse a potentially deadly situation. Specifically, machines would be unable to decide what amount of force is necessary, when it constitutes a last resort and how to apply it in a proportionate manner. Fully autonomous weapons could select and fire on targets without meaningful human intervention, she said, adding they are a step beyond existing drones. Military drones have come under increasing scrutiny for their role in U.S. attacks. According to the UK-based non-profit organization The Bureau of Investigative Journalism, U.S. drone strikes killed more than 2,400 people in Pakistan, Yemen and Somalia over a five-year period under President Barack Obama. Last year, HRW launched its Campaign to Stop Killer Robots, which ramped up debate on the technology. Christof Heyns, U.N. special rapporteur on extrajudicial, summary or arbitrary executions, urged a global moratorium on the development of lethal autonomous robots. On Tuesday, dozens of countries will spend four days discussing such robots at a disarmament conference associated with the Convention on Conventional Weapons, HRW said, adding the U.N. Human Rights Council will take up the topic in June.